Store Paradise Food in a cool, dry location while keeping it covered when not in use. 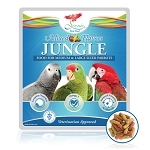 This is the only stuff our Quaker parrot will eat. It seems impossible to find in stores and now can only find it online. Shipping cost can be high, but what can I do? Lol. Shipping was extremely fast, thanks. 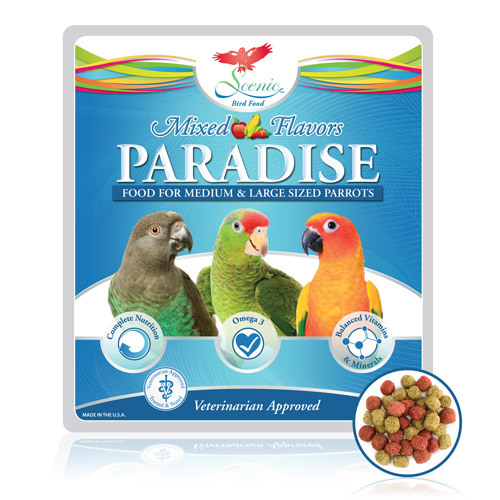 my conures just eat this up...sometimes they find the bag (cuz my birds roam free) and they get into it and just eat and eat...its the best! 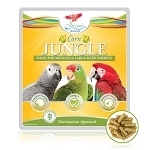 This mix is the only pelletized food that my conure will eat, so it must be pretty good. Always fresh, with none of those moths we used to get from buying this at the pets stores. Love the quality. Q: I have a cockatoo that. 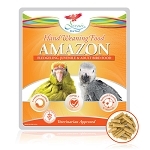 Is sensitive to any sweeteners. Does this food contain any sugars or sweetenrers? 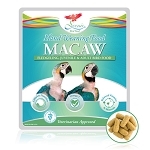 A: I would suggest you contact the manufacturer and ask them about that -- the website is https://www.scenicbirdfood.com/ -- the two things that may contain natural sugars are sugar beet pulp and apple fiber, but it doesn't appear as if any additional sweeteners have been added. 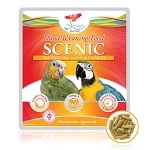 Q: Is the scenic paradise mix pellets good for lovebirds? 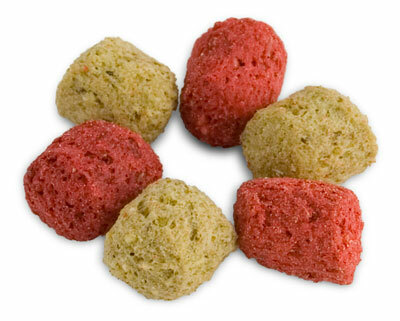 A: Jazmin -- it can be .. it is a good size and a "softer" pellet than most. 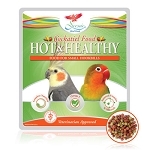 Of course the key question is whether your bird will like it -- but being three different flavors sometimes that helps.